After a morning touring the local wineries we stopped at Tuk Tuk Kitchen in the Hunter Valley to escape from the heat and also to find something delicious to fill our grumbling tummies. From our first glimpse of the premises we liked what we saw. The building that housed Tuk Tuk now is a great improvement from their previous location - wedged between two restaurants in the Tempus Two Complex - which we found quite by accident sometime ago. Though burgers are not my cup of tea, I didn't complain when we took the turn off to Tuk Tuk, as I knew, through my past experience, we were in for a treat. 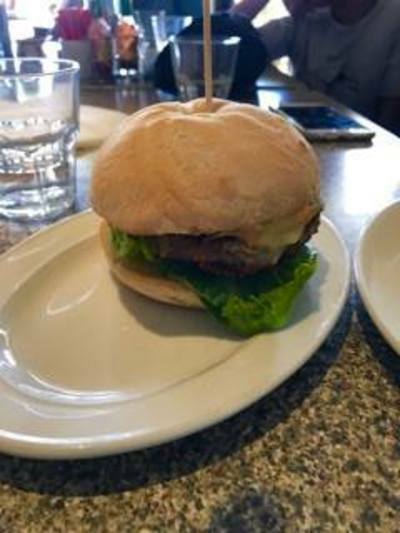 The range of burgers were, as expected, quite extensive which suited the picky eaters that we are – each possessing a palate different to the other. After few minutes of indecisiveness we came to the agreement to savour as much as we could. Once the orders were placed, we settled in and enjoyed the breathtaking view the large windows opened up to, while some of us wondered around the restaurant enjoying the artwork displayed on the many walls. Though every delicious bit of food floating out of the kitchen is made-to-order we didn’t have to wait for long. Our food arrived quickly, carried by two bubbly waiters. I think I should make a special mention of the staff here; the ones we came across were very friendly and accommodating, relaxed enough even to throw in a joke or two while skillfully serving our table. As for the food, the burgers, were as expected, simply divine and generous in size. With meats, fresh greens, and creamy sauces oozing out - every bite of every burger kept us wanting more. 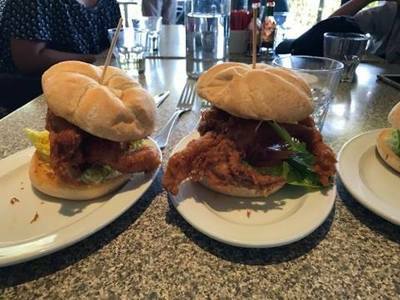 There was plenty on our table from various burger flavours to chips and fried foods to savour, but if I had to chose a favorite among them, I couldn't go past the divine soft shell crab burger. I can honestly say that the mouthwatering flavours of that particular burger made my taste buds jump with joy. The burger itself was a whole lot of 'soft' rolled into one; crispy soft shell crab lay heaped between two of the softest buns while smooth luscious sauces oozed out enhancing the flavour of the crab. The marriage of the crispy saltiness and the hint of sweetness added another dimension to the whole 'gourmet burger' concept. 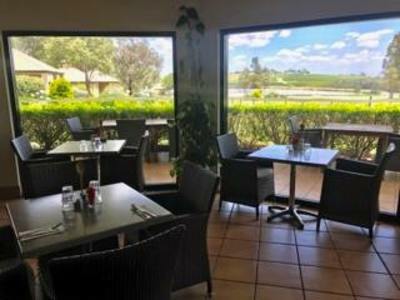 All in all Tuk Tuk Kitchen in the Hunter Valley was a very pleasant experience which provided the ideal respite from our busy day. When:Breakfast 8am - 11am 7days.